Philo is a streaming service that provides RIT students with the ability to watch live television and record shows for future viewing. Students are allowed to watch live television at any time and can record up to 20 hours of television. 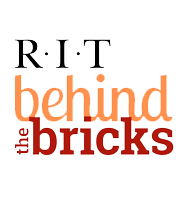 This service is available to any RIT student with an active housing contract. This includes students living in dorms, Colony Manor, Perkins Green, Riverknoll, Racquet Club, University Commons, Global Village, and the RIT Inn and Conference Center. This service can only be used when connected to the RIT network, VPNs will not work. Philo services are available 24 hours after the start of a RIT Housing agreement and key pickup. Wait a few minutes and the Roku will automatically update and Philo will be accessible via your Roku. If it does not automatically update you can try checking for updates using the process outlined earlier in this article.